Avoid costly errors and rewrites. Proofreading and editing copy go hand in hand. The two are complementary activities that take a text from final draft to print- and publish-ready content. Proofreading involves checking the text for spelling, grammar and punctuation, while copy-editing ensures use of appropriate words, internal consistency and logical structure to improve readability and presentation of the text. 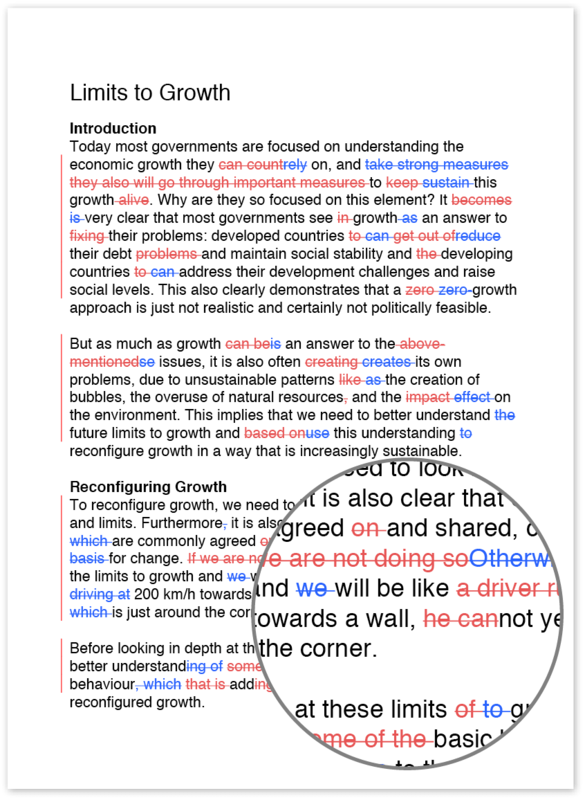 Wordy offers an online copy-editing and proofreading service for everyone – from journalists, businesspersons and academics to marketing people and bankers. We strive to give you the best possible quality and ensure that your content is ready for submission or publication once it’s been through Wordy. Wordy's one-click ordering system streamlines the process of submitting texts for revision and with professional proofreaders and copyeditors in all major time zones we deliver a true 24-hour service. English is not just the global lingua franca for companies and individuals, it’s also a subtle language filled with idiomatic nuances and perplexing spelling conventions. 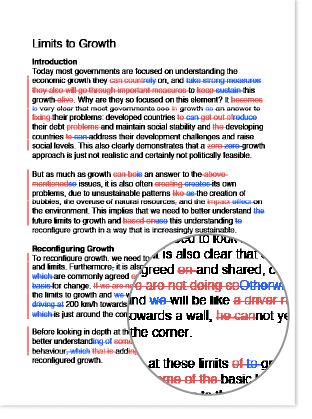 If English is not your first language, it can be incredibly difficult to produce work that is coherent and readable. Wordy offers English proofreading and editing services that will make your written work read as if it were written by a native English speaker. If you're wasting your time struggling with written English it's time to seek the assistance of Wordy's English proofreading and editing professionals. No doubt you can find other proofreading agencies and even local services to handle proofing and editing of your content. However, there is no other agency to compare with Wordy's combination of convenience, accessibility, quick turnaround, quality and price.